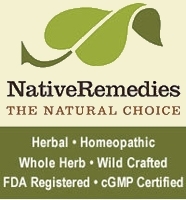 Discover what is better: Natural flu remedies or flu shot! Flu season "cough" you unprepared? Did you get your flu shot this year? Most of us know friends or relatives who don't get their flu shot and don't catch the flu or friends that get their shot, but still catch it. You may wonder whether flu vaccine is effective or not. Actually, there are 2 opinions regarding this matter. The story begins in the 19th century, when Louis Pasteur promoted the Germ Theory of Disease. He said that germs (bacteria and viruses) cause diseases. An entire medical industry for antibiotics and vaccines developed around this concept. This is the side of the story we all know. The other side was Antoine Bechamp's theory according to which germs are definitely the result, and not the cause of disease. Antoine Bechamp was one of the world's foremost bacteriologists and Pasteur's contemporary. In short, saying germs cause diseases, it's like saying flies and maggots cause garbage. Flies, maggots, and rats do not cause garbage but rather feed on it. The same goes to bacteria and viruses. They are not the primary cause of disease; rather they develop when the tissues are diseased. What they cause is inflammation, not disease. Why Are These Theories Important To Us? b) Believe that the main responsible for getting a disease or staying healthy is us. It may not be all black and white, but I choose to be in charge of my own health. Preventing disease is always better than treating disease symptoms. How Can You Be the Master of Your Own Health? 1. Eat light, organic foods. Include in your diet vegetables and fruits grown organically, cheese, eggs and chicken meat from organic farms (my mother-in-law is our main supplier), fish meat, raw nuts and almonds. 3. Reduce stress as much as you can. My anti-stress solution is Aikido, which I recommend to all. 4. Use natural flu remedies (herbal remedies, aromatherapy massages and homeopathy) instead of synthesis drugs. Besides, if you lead an overall healthy lifestyle, you won't need medicines that much. 5. Remember One good deed a day keeps the doctor away? Take health to the ultimate level. Do positive things to influence your own DNA. Keep in mind one thing though. It’s not all black and white, and we are not doctors, except for the ones that actually are :). If you have a medical condition, the wisest thing to do is to visit your doctor. The second wisest thing is to ask him for natural remedies, if that is possible.